Modern technology has done a lot to prevent perishable items from going bad too quickly. Refrigeration and freezing mean food, medicine, flowers and more all last longer and can be more widely available. But the conditions created to store and transport these items, while great for the products, are not ideal working conditions for the dedicated employees who handle them. Indoor temperature-controlled environments present unique challenges that go beyond the low temperatures. Protection seems pretty cut and dry – a coat, some gloves, work boots, maybe a hat and done! But in a work environment, especially a constantly cold one, there are more considerations than just the air temperature when choosing protection. From standard workplace injury concerns to the effects of cold on equipment used, a number of factors need to be considered to choose the best protection for your employees. The foundation for safety starts at the feet and builds up, for both general safety and cold protection. Why the feet? Slips, trips and falls are the cause of most workplace injuries. Proper footwear helps prevent these injuries by reducing the chance of slipping in hazardous conditions. Proper footwear also provides cushioning and support for the feet and legs, reducing the likelihood of feet, leg or lower back injuries. When you are on your feet all day, the proper support is vital. But you also have to consider the unique floor condition of your temperature-controlled environment. 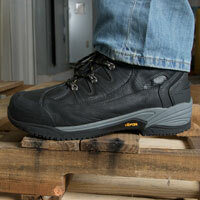 Most work boots are not designed to handle the cold transfer that occurs from cold warehouse floors. Choose boots with soles specially designed not to crack or break down due to the cold. After all, if your feet are cold, it’s hard to concentrate on your work and safety. Cold transfer doesn’t just happen on the ground. Employees also have to worry about cold transfer from everything they touch. 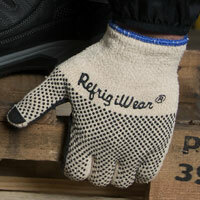 Insulated gloves provide protection against the cold in the air and against cold transfer. It isn’t just insulation you want though – hand injuries can be costly. Make sure you protect against the hazards of the job with gloves that provide features like impact protection or cut resistance. Also consider glove liners for cold conditions as they can turn a regular pair of gloves into insulated gloves for low cost. When it comes to protecting the body, base layers are the foundation of warmth. Start with the right base layer then layer up with mid and outer layers that fit your temperature zone and activity level. Remember that cold in the indoors can be constant, but your activity levels will change. So, if you are moving around a lot, you will not need as much insulation or layers. 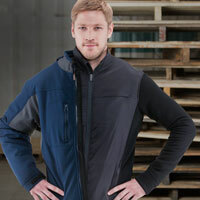 Choosing the right coat, vest or insulated sweatshirt is paramount for overall warmth. This is because keeping your core warm (the torso where many vital organs reside) will promote proper blood flow to other parts of the body – a key goal of keeping warm. 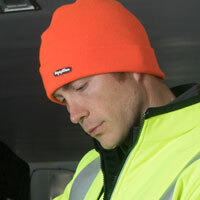 From pants and bibs to sweatshirts, fleece, and -60°F rated jackets, the right combination exists to stay warm no matter the conditions and job duties. While it isn’t true that heat only escapes from the head, it certainly will be a factor if you forget headwear. Keep the head and vulnerable areas like the ears and nose protected with gear like ear warmers that fit over baseball caps, neck gaiters, or full face masks / balaclavas. If every part of your body is properly protected, you can focus on work, staying safe and getting the job done. Now your employees are protected against the unique conditions of your workplace. Great! The proper protection means better performance, because valuable energy isn’t spent by the body trying to warm up or prevent injury (just be sure not to overdress, as that can hurt productivity as well). The only problem you might face now is that the bulk required to stay warm interferes with the job duties. Luckily, there are now options to combat that so you can have both strong protection and high performance. 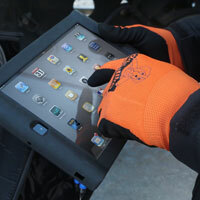 Bulky gloves make using keypads or touchscreens difficult or even impossible, you but don’t want employees removing their protective handwear. Solutions like the Touch-Rite and Key-Rite Nibs allow your employees to maintain accurate data entry without loss of protection. Flexible base layers and innovations like Performance-Flex keep range of motion intact, so performance isn’t hindered. Combining the best protection with features built for performance keeps production high. Temperature-controlled indoor workplaces are unlike any other. Addressing your unique challenges improves safety and performance.